It's £200 cheaper than the CBF125 and made in China instead of India. But is it an improvement? 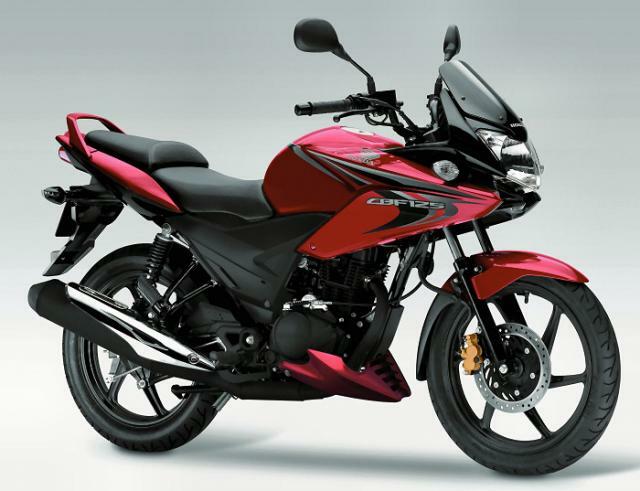 WE'RE still getting over the shock in 2008 of Honda replacing its CG125 with the CBF125 after more than 30 years of production. 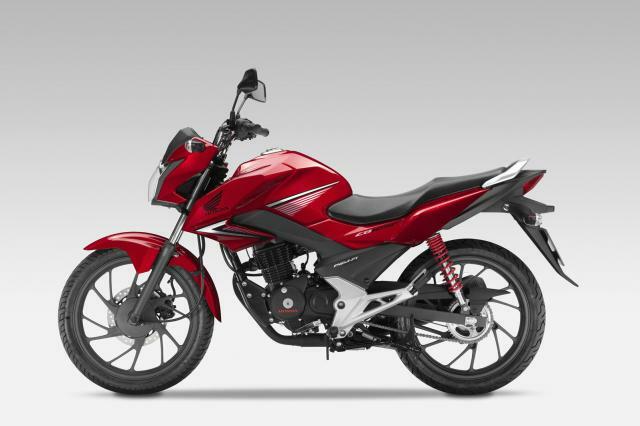 And already the firm broadsides us again by launching a new model with a confusingly similar name: the new CB125F. 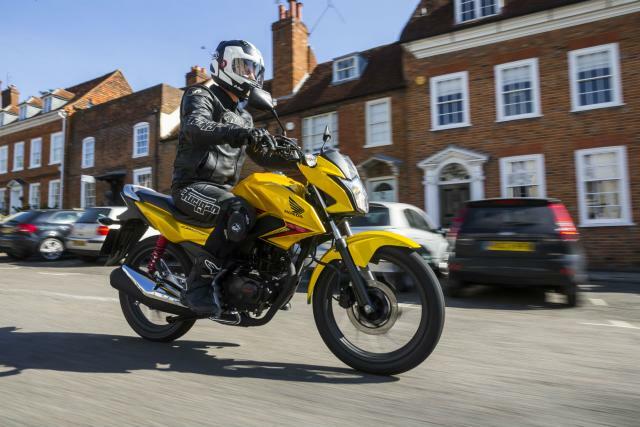 The CBF125 (that's the outgoing one) has been the UK's best-selling motorcycle for every full year it's been made, so it's not like we were getting tired of it. But the motive for the move isn't to boost flagging demand. It's to move production from India to China. By no coincidence, the new Chinese-built model is £200 cheaper than the old one, at £2,499 on the road. Where the CBF was £100 more expensive than Yamaha's YBR125, the CB...F is £100 cheaper. It's not just the price that's changed. With the new name comes some quite extensive revisions. The styling has been comprehensively updated, with the CBF's small upper fairing, screen and belly pan gone. Honda says this means less to damage for the many riding schools that provide fleets of the 125s to learners. Since the fairing has been replaced with smaller plastic cowls, they're not completely out of the woods. The makeover extends from nose to tail and Honda is keen to highlight that it gives the new CBF125 a family resemblance to the bigger CB650F and CB1000R, which it does. What wind protection is provided by old model's titchy screen will probably not be missed much on a machine barely capable of 70mph. The equipment has been updated. The centre-stand and grab rail have been retained and new clocks added, with a gear indicator, a nice if inessential touch on a budget 125. The clocks are smart and acceptable, if a bit of step back in time, with two big side-by-side speedometer and rev-counter dials. You won't find anything digital here, unless you count the old fashioned mechanical trip meter, with a twiddly knob for turning all the wheels back to zero. 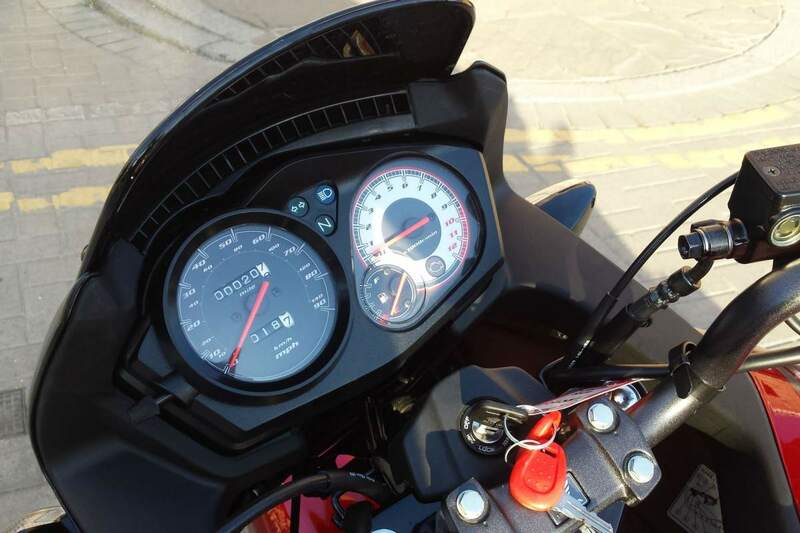 There are now two large indicator lights where the CBF had one small one, a feature which Honda hopes will make learners less forgetful about cancelling them (and consequently more likely to pass their test). There's a fuel gauge but you don't get a clock. 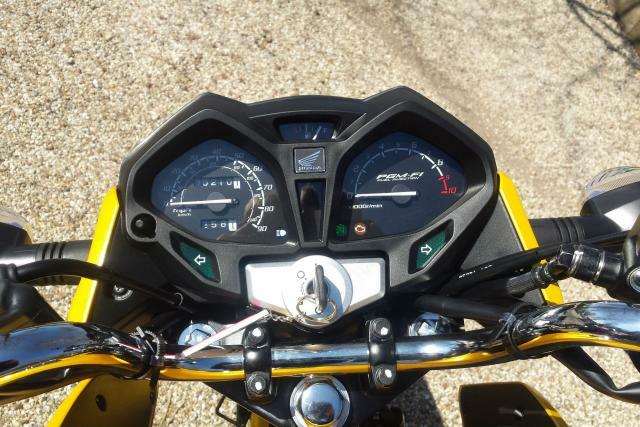 The handlebar switch-gear is new, and like that of bigger Honda's, with a big horn button above the indicator switch on the left bar. There's no engine kill switch, nor any switch for flashing your high beam, unless you count switching it on and off. The steel frame is new (albeit very similar in appearance to the old one). 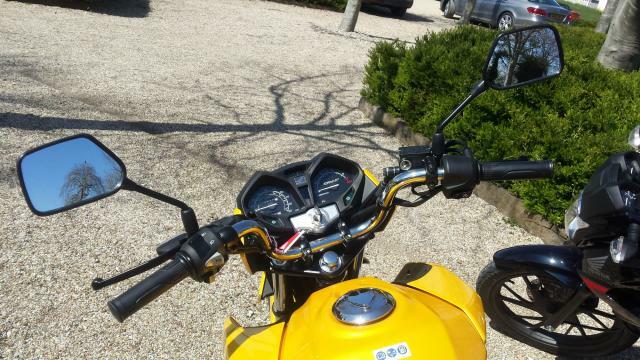 The riding position has changed – the pegs are further forward and the high bars are closer to the rider, for an even more upright and natural position. The steering angle is 90° from lock to lock. 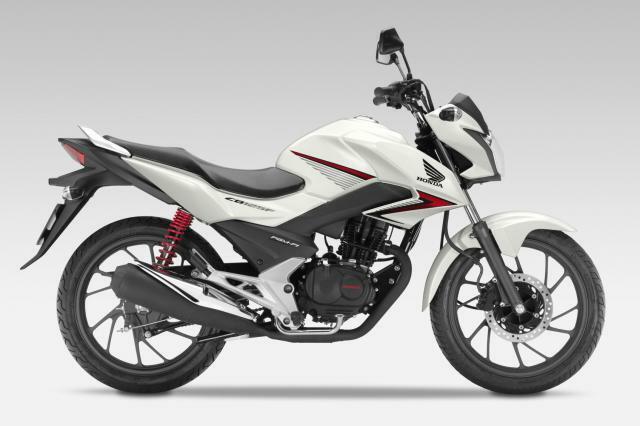 The engine is 'virtually an all-new unit' according to Honda, with a revised cylinder head and an added primary balancer for better mid-range and reduced vibration. Peak figures are less though. The CB125F makes 10.6hp and 7.5lbft, compared to the CBF125's 11.2hp and 8.2lbft. 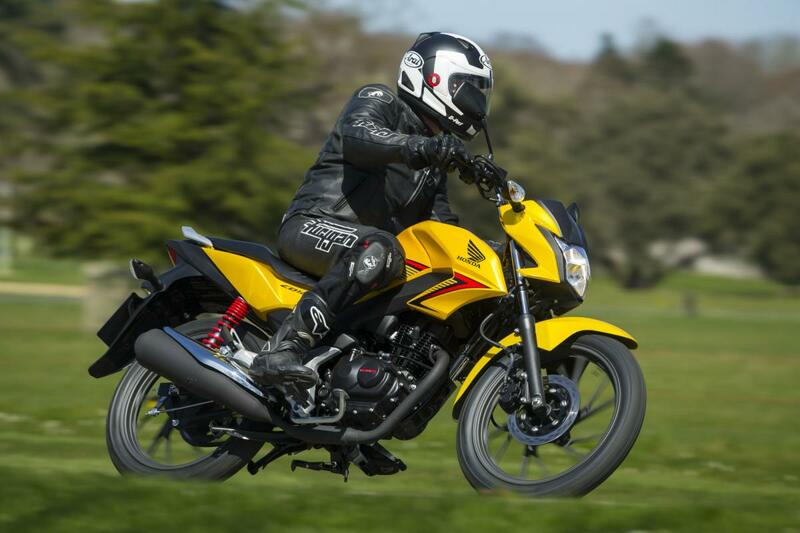 The modest figures are enough to make riding the CBF125 a cheerful experience, although there is an imperative to use all the power all of the time. Pulling away in first gear, you're at 5,000rpm by time you're off the clutch. Accelerating onto a motorway, you'll be constantly shifting to stay above 7,000, with the red line at 9,000. In fact to make any kind of progress you'll probably be permanently above 6,000. But the engine's willing and smooth at those speeds so it feels perfectly natural. Claimed fuel economy is an astonishing 145mpg. The 600-mile first service requires a valve clearance check. Honda couldn't give an exact cost but said the entire service would take less than an hour. Later intervals are 2,500 miles. The seat (a single unit instead of the old separate ones for rider and pillion) is firm but the suspension makes up for it. 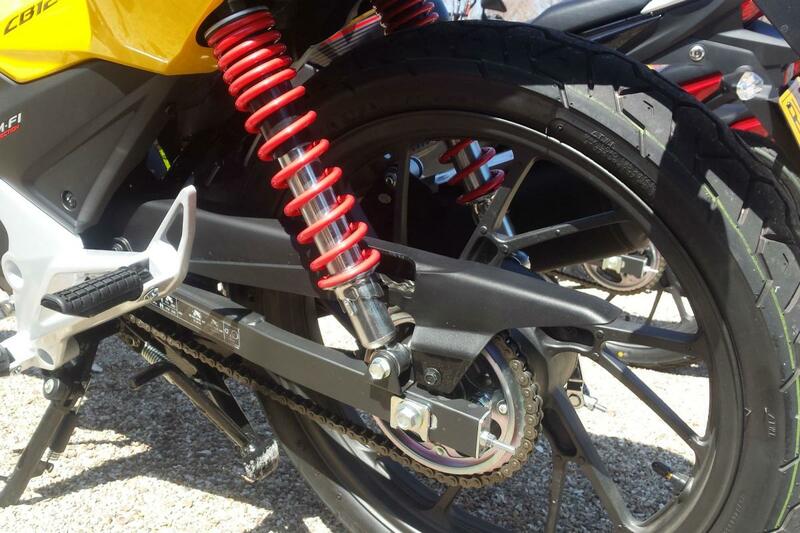 The non-adjustable fork and preload adjustable twin shocks are soft enough for uncomplicated comfort, much like the CBF125's. The launch ride was a 120-mile circuit from a hotel in Windsor to Goodwood and back. By the end I had a sore head caused by pressure from my brand-new helmet but my bum was still comfortable. I found myself dangling my legs occasionally, to stretch them and relieve pressure on my bent knees from the armour in my leathers. This could suggest it's a little cramped for an average-height rider or it could suggest I was in sub-optimal gear. I'd arrived direct from the launch of another model, with no other riding gear. All the other journalists had the good sense to wear armoured textiles. 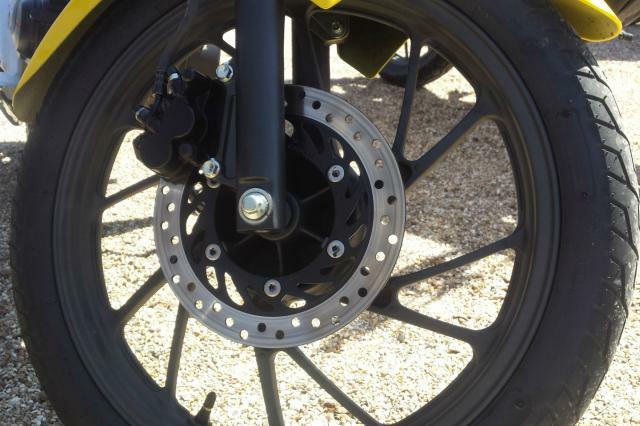 The 240mm single front brake disc and twin-pot caliper are more than a match for the momentum of the 128kg machine, with sufficient bite and progressive pressure. The drum rear is all that's needed at that end, although it highlights the absence of ABS. Surely it's learners who need that most? 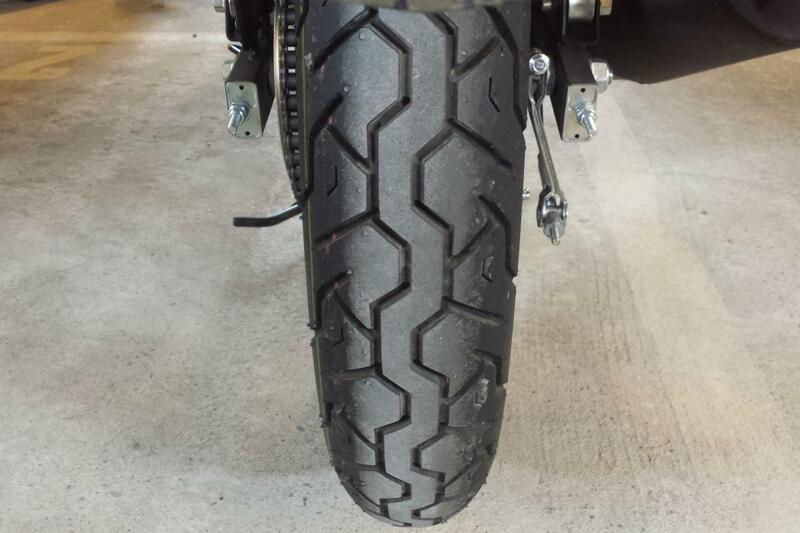 The CBF125's Continental tyres have been swapped for Chinese-made CSTs, with a skinnier 90/90-section rear instead of 100/90. I didn't have any problems with them but I wouldn't like to explore the limits. The fact the new model has been given 18-inch wheels instead of 17-inch will also limit the choice of alternative rubber, at least until tyre makers catch up. There's no notable under-seat compartment, although you might be able to wedge a disc lock in there somewhere, and you do get a small cable-type helmet lock in the tool kit. At the end of the test ride I hung around to take Honda up on an offer of a quick go on a CBF125 for comparison purposes. I'd ridden one before, but some time ago, so it proved useful. It means I can say with confidence that Honda's claims on the new model and engine are accurate. 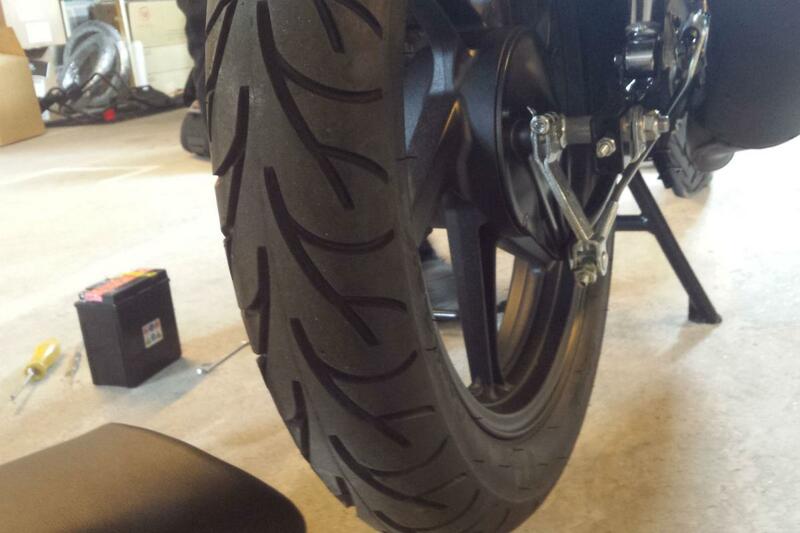 The rider pegs on the new one are further forward, and the bars nearer. The engine does have better mid-range, feeling stronger at about 5,000rpm. The old one does send more vibration through the pegs and bars. A Honda man had been telling me how exceptionally smooth the new model is for a 125 and the back-to-back test supported the claim. But it highlighted something they hadn't mentioned. 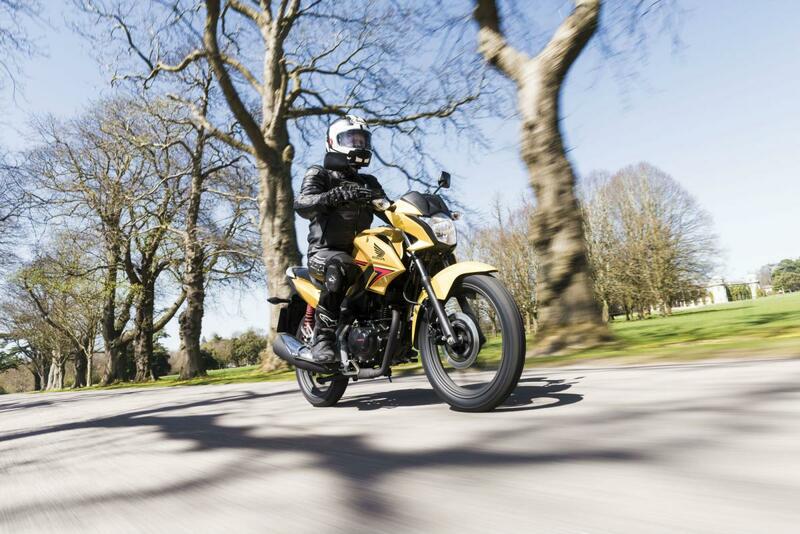 The new CB125F is on the 9,000rpm red line at 65mph in the highest of its five gears. The old CBF125 will do 70mph in fifth before hitting its red line, which is at about 9,300rpm. Sitting upright, the old model is usually flat-out at an indicated 70, so arrives at its natural top speed before the red line. 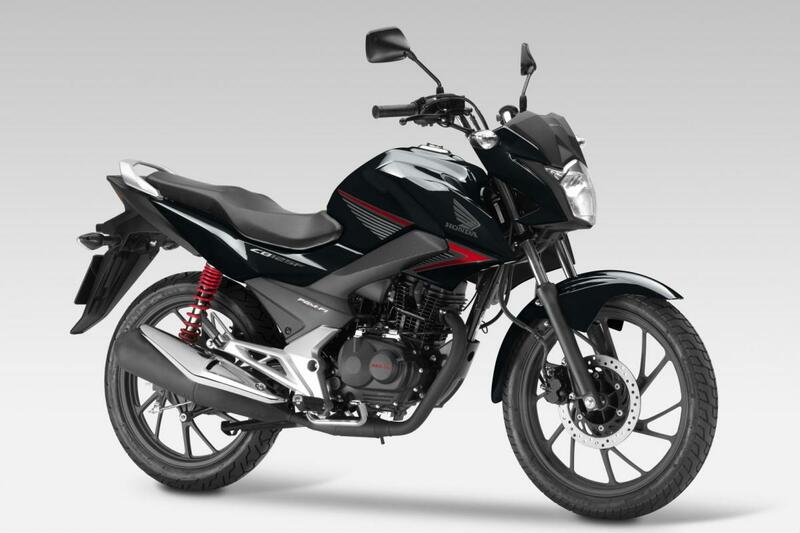 The new CB125F more commonly arrives at the red line before its natural top speed. Some journalists suggested an additional gear might be useful but Honda said this would require the modification of other components including the chassis, which wasn't designed to go faster. 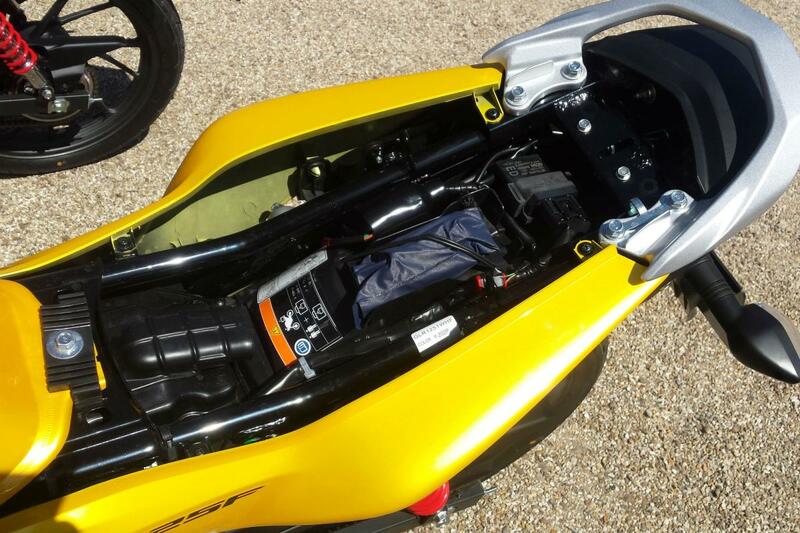 Get down on the tank and the CB125F will go well beyond 9,000rpm. Put your feet on the pillion pegs and lift your bum off the seat a little and it will go right off the end of the rev-counter, at 10,000. It's still only doing about an indicated 75mph. The launch ride inevitably descended into a top-speed challenge, with journalists slip-streaming each other and swapping positions like a peloton of 70mph cyclists. One claimed to have seen an indicated 78. 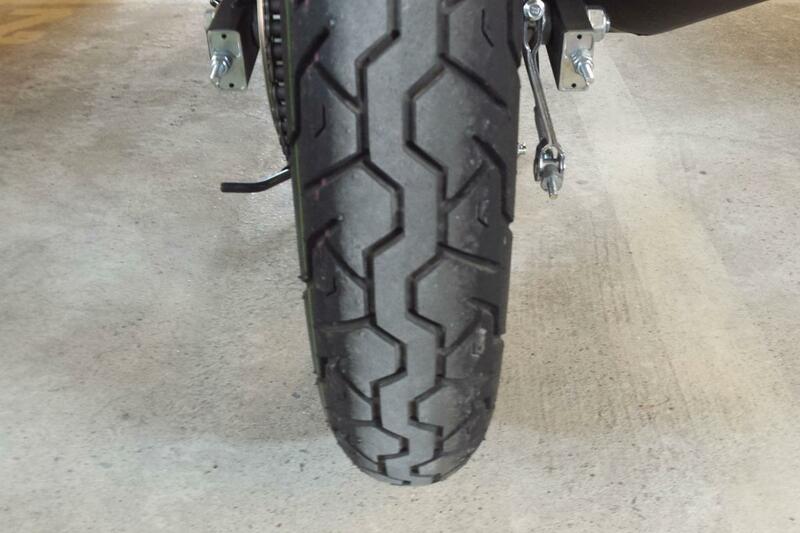 Above 70mph the chassis limitations made themselves known, with the handlebars of my bike sometimes shimmying gently. So a difference between old and new is a useable top speed of 65 or 70mph. 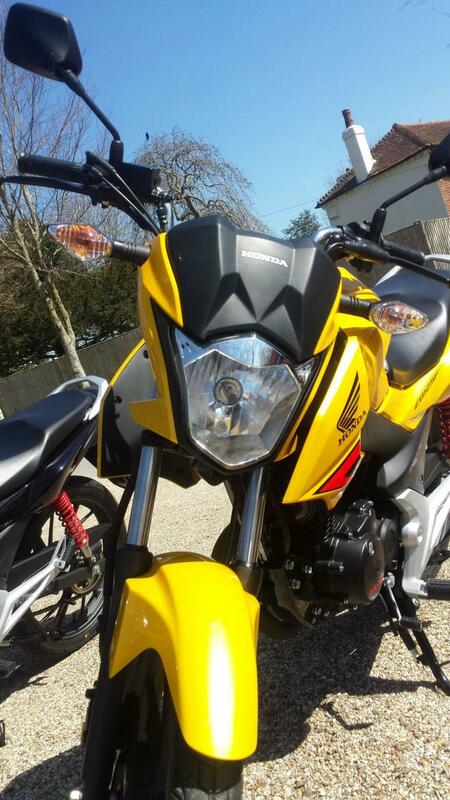 For me it outweighs the reduced engine vibes, the gear indicator, £200 saving and any resemblance to the CB1000R. Eighty per cent of CBF125 buyers have been new riders who won't go on the motorway until they pass their test, at which point they'll probably replace it for something bigger. 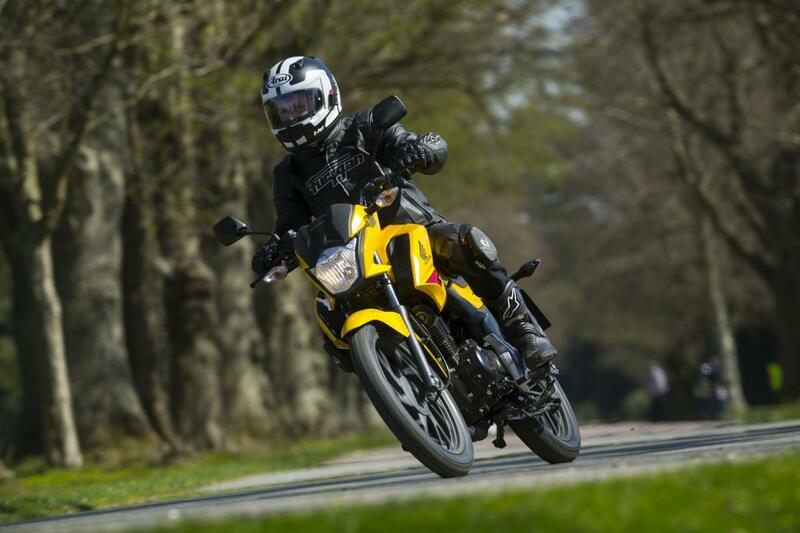 As such the new CB125F is probably the most important bike on the market for attracting new riders. To those people I say the lower useable top speed doesn't matter. The new bike is less vibey and cheaper than the old one. Buy it. To the other 20%, potentially with a full licence and looking for a cheap all-round motorcycle, I'd suggest the matter is a deal breaker. Find the extra £200 and get the one that can do the national speed limit, while it's still in the line-up.